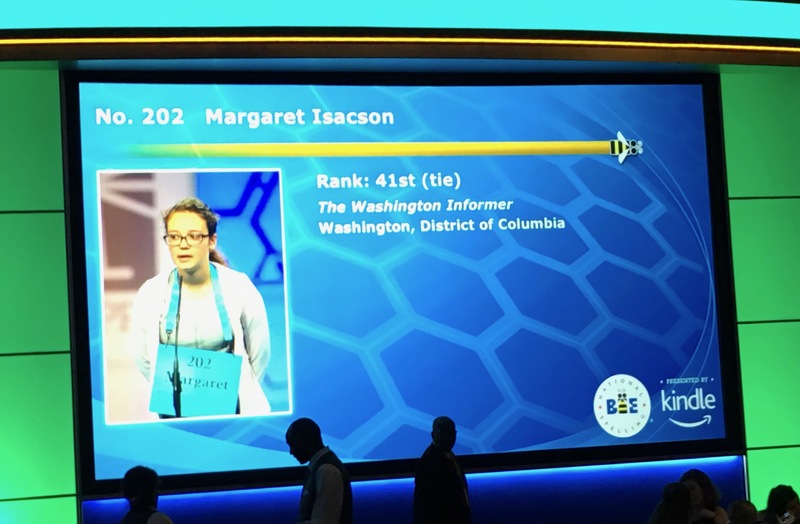 With Spelling Bee week now over, I just want to take a moment here to congratulate my brilliant daughter Margaret, who—amid a pile of extracurricular activities and her dad’s frequent travels—managed to win the Washington DC Spelling Bee in March and finish 41st in the National Bee this week. It was a great experience for her. Check her out on our local CBS and FOX affiliates. And thanks to the great folks at the Washington Informer who sponsored DC’s Spelling Bee and made it all possible.